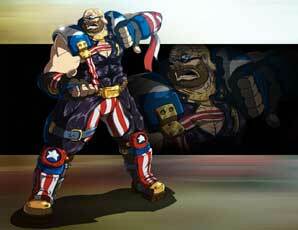 Bass Armstrong is a character from the Dead or Alive fighting game series. 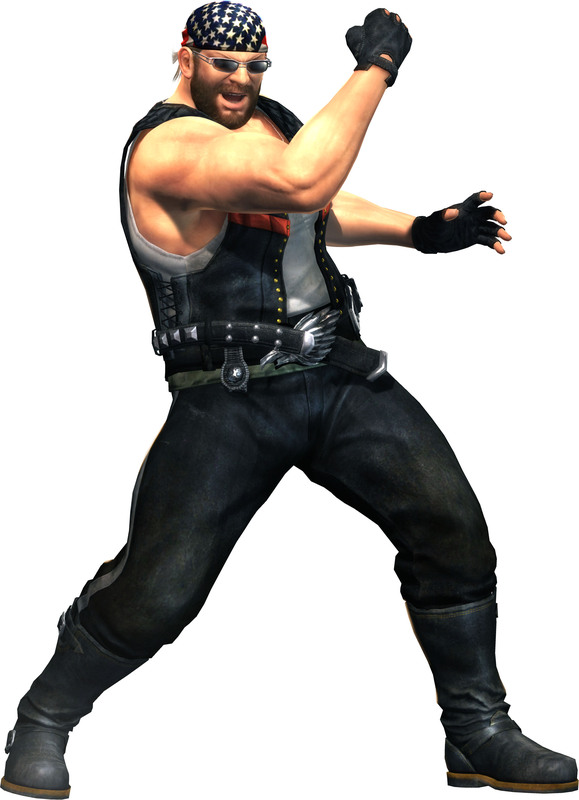 He debuted together with Ayame in Dead or Alive’s Playstation Version which was released in 1998 and later named Dead or Alive++ in the Arcades. 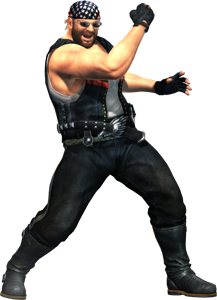 Bass returned as a playable character in all following Dead or Alive fighting games. He is the father of Tina Armstrong, and like her a Professional Wrestler. He retired though. He loves Tina and is very proud of her but can’t stand seeing her in the ring or on the catwalk. Everyone who laid an eye on Tina has to deal with Bass. In Dead or Alive 5, he is seen as a worker on an oil platform and seems to be a good friend of the DOA5 newcomer Rig. 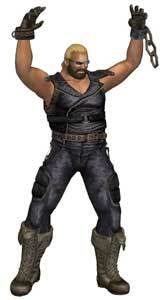 His visual design was clearly inspired by wrestlers like Hulk Hogan or the Randy Savage, he also has costumes which make him look similar to the Legion of Doom members. Bass Armstrong: Made in the USA!